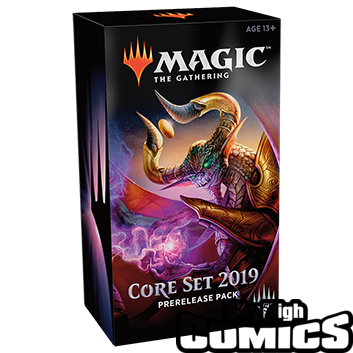 Prerelease weekend is here. Join us over at Rossi's Pizza for the events this weekend. Prereleases are some of our favorite events. It will be your first opportunity to play with Core 2019 cards in your own sealed deck. Sign up today spots are limited!